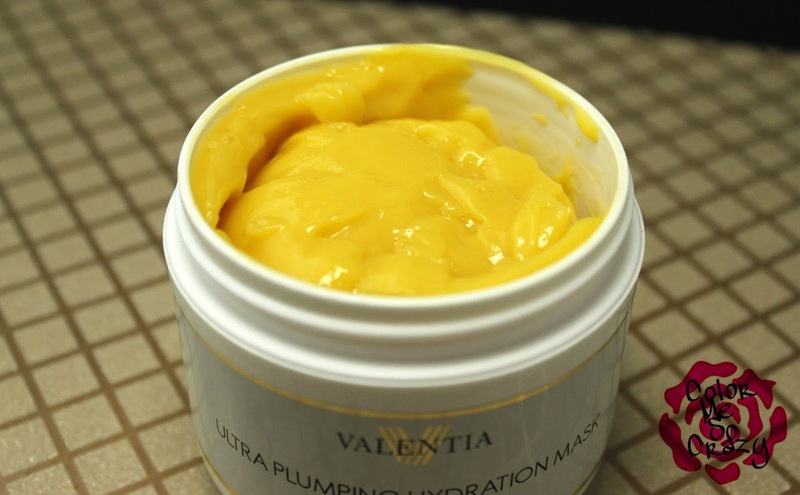 I am back with two awesomely, great products from Valentia! I just love this brand. Their products are ultra luxury and for some reason, they don't aggravate my skin. Today, I am bringing you something that plumps and something that glows! Super special!! I would say this is a Creum or a Seram (a combo of a cream and serum). Yes, I did that... I married those words. 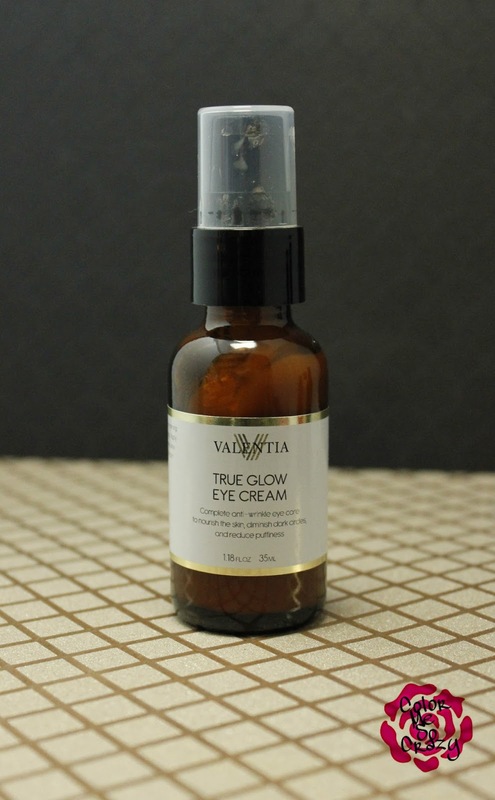 Anyways, This is an intensive corrective eye treatment that reduces wrinkles, tightens the eye area, brightens dark circles, restores radiance and nourishes. The main ingredients are Astanxanthin, Resistem, Vitamin C, Organic Rosehip Oil and Amica. It is meant to be applied morning and night and by applied I mean just tap (lightly) around the eye area. This has a slight citrus scent to and it is heavenly. I have tried their True Glow Eye Serum before and this has soooo much of a better application and absorption. My skin doesn't feel too tight after I apply it and it has definitely been feeling lighter, looking brighter and looking less tired. You can scoop this up here for only $25.00. This!!! I love every single Valentia mask that I have ever used. I actually have switched from one of my usual masks to a Valentia mask! This also came to me at the most perfect time. Winter is one of those times up here in Pennsylvania when all of the moisture gets sucked out of my skin. Even though I have the most oily skin someone could have, it still needs a little moisture once in a while. 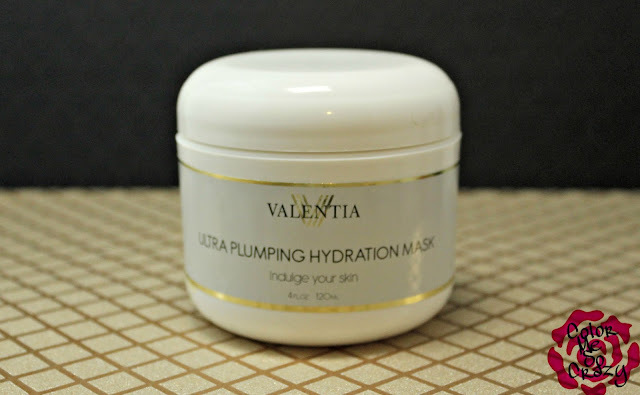 This mask boosts collagen production, increases skin radiance, reduces fine lines and secures moisture. Key ingredients include Silk Protein Amino Acid Blend, Botanical Hyaluronic Acid, Organic Sea Buckthorn Oil. I am sooo, sooo glad to see some Sea Buckthorn Oil in this product. This is one of my favorite anti-aging ingredients. It helps with scars, skin tone and tightening up skin. You apply this for 15-30 minutes (I did it for 20 minutes) and then remove with water and a washcloth. The instructions say you may feel a tingling feeling, but I did not. I really liked this product for an every other week treatment, for me. If you want to read more about this product or even buy it, you can do so here.